Cancellations 2 days before arrival are free of charge (excluding deposit), otherwise we charge 100%. The city of Dresden is charging a lodging tax of 6% of the amount for the individual overnight stay, which will be added to your accommodation cost. Great location. Great rooms. Worth it. This was a good hostel! I was here in off season and it was very empty but still nice. Good facilities and homey feel. Nothing outstanding, really just a place to sleep and not hang out as much, but still a nice place. Rooms comfortable with lamp beds and power outlets, though not easy for upper beds. Good bathroom, strong shower nice kitchen. Very hip area, like a lot of restaurants and bars nearby. I wouldn't say the location is perfect, since it needs a tram to get to the old town, but yes, the time of commuting to the old town is still acceptable. I cannot find hairdryer in the toilet, maybe I need to ask the receptionist. The atmosphere is good, quiet, clean and tidy, i like it a lot in general. 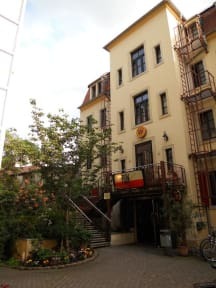 Very CLEAN hostel that is only a few tram stops from the city center! Easy to find and well taken care of. Friendly staff. I felt the lockers in the rooms were a bit flimsy. Despite me locking mine with a key, it could still be pulled open from the top. Not very safe for those with passports and wallets. The hotel also wasn't in an ideal area- as a single female I didn't feel that safe walking around the neighborhood at night. I felt much more safe in the old town of the city. Fine for a night. 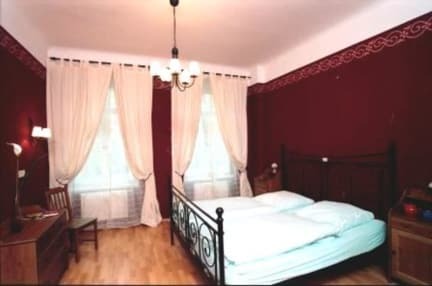 Nice stay, just keep in mind that there is a compulsory fee from the city Dresden and for the sheets.